A person can be injured virtually anywhere, whether it is at his or her apartment, a friend’s house, a hospital, a government building or elsewhere. When this injury comes as a result of negligence by the property owner, the owner must be held responsible according to premises liability laws. Though these laws differ between states, premises liability lawyers can help you determine the owner’s liability and help you to seek compensation. These types of cases are particularly alarming when the owner is found to have known about the danger and failed to fix it; if this resulted in an injury, you need an attorney. 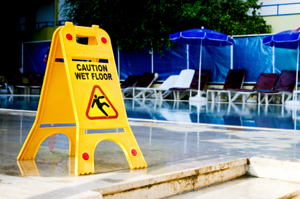 Many of the most common premises liability injuries include trip and falls or slip and falls, head injuries, brain injuries, and broken bones; however, sometimes these accidents do result in fatalities. Common premises liability accidents include structural design flaws, elevator accidents, negligent security, highway defects, animal attacks, window guard injuries, escalator accidents, trip and fall or slip and fall accidents, property defects or unsafe buildings, and environmental dangers. If you were injured on another person’s premises if a loved one was killed by an owner’s negligence, you need a personal injury attorney that understands the emotional and physical toll that this injury can take. The attorney should be aggressive in seeking the compensation that you deserve.